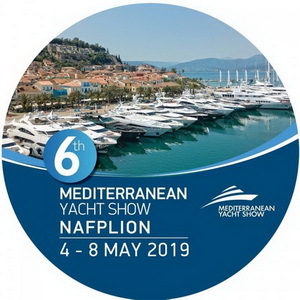 From 4 May to 8 May in Nafplion a stunning 6th Mediterranean Yacht Show will take place! This event is organized annually by the Greek Yachting Association and every time attracts more and more professionals from the marine industry. 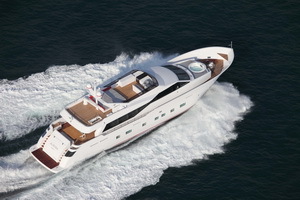 This year there will be 120 luxury yachts, available for charters in the East Mediterranean. Around  400 professionals from all over the world will arrive to view the yachts and to meet  professional captains & crews. We will be happy to be a part of this unique event and to widen our horizons in terms of international collaboration. 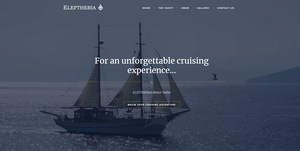 Visit the new site of M / S ELETHERIA and get to know your dream Μ/S for unforgettable holidays. Take a step. Make some memories. Let us be your guide. AURORA was launched on June 2011 by Tecnomar. This yacht has extraordinary interior space for its category and remarkable quality of details and finishes. Aurora's main deck hosts the main salon, the dining area, the galley and the wheelhouse. The 5 cabins on the lower deck include the full beam master suite, 2 doubles and 2 twins, which can be accessed through the main staircase. Aurora's outdoor areas are surprisingly spacious for relaxing. In the bow there is a jacuzzi surrounded by sunbathing cushions and bench. In the cockpit there is a large table for 10, which drops down to convert to a wide sunbathing area. From 28 April to 1 May in Nafplion a stunning 5th Mediterranean Yacht Show took place! This event is organized annually by the Greek Yachting Association and every time attracts more and more professionals from the marine industry. This year there were 107 luxury yachts, available for charters in the East Mediterranean. Around 400 professionals from all over the world arrived to view the yachts and to meet professional captains & crews. We were happy to be a part of this unique event and widen our horizons in terms of international collaboration.